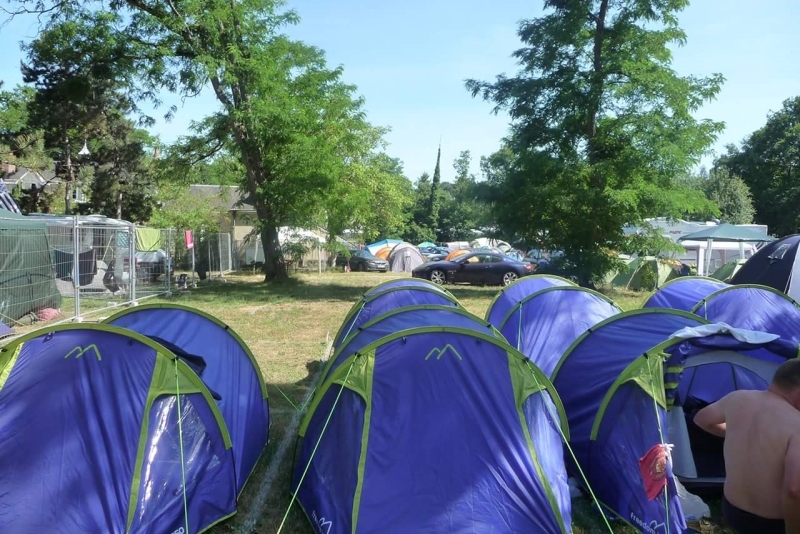 The Thomas Cook Sport Village at Le Mans is a highly regarded campsite for the Le mans race goers. 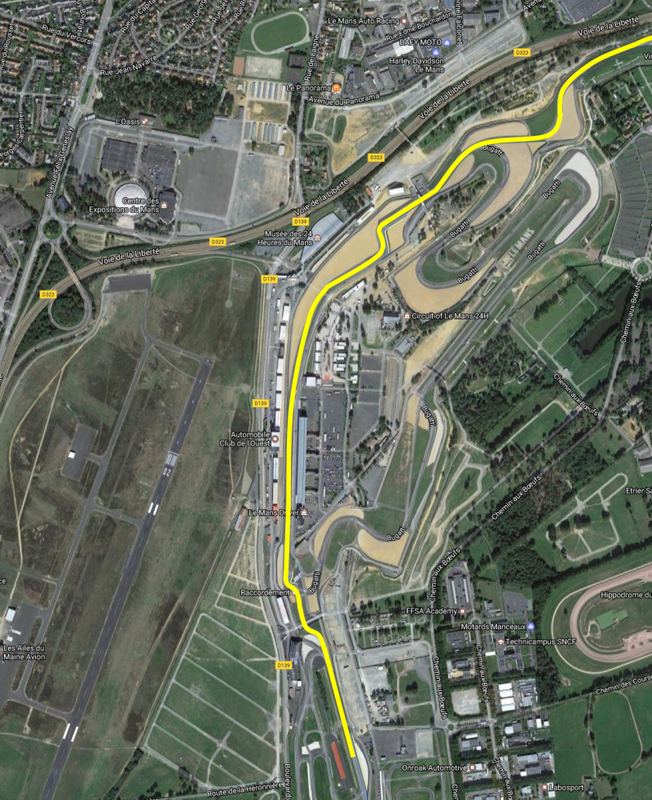 With tent, Campervan and caravan options to choose from and its close proximity to the track and paddock. The site has a professional feel to it withs its centre piece being the bar and catering marquee, which has featuring large screen TV for race and other sporting events during the race period. 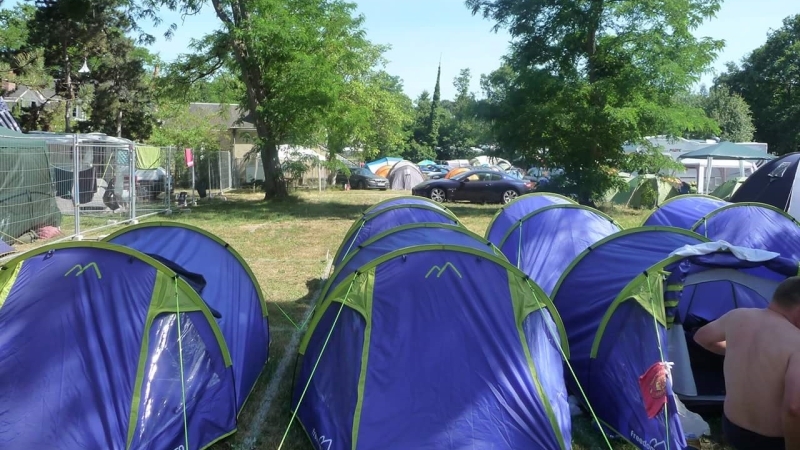 Arrival at the site you will be greeted by very friendly team at our reception, which is open 24 hours, and taken to your pitch, the staff at Le Mans will be on hand throughout your stay to ensure that your visit to Le Mans 24h is a memorable one. 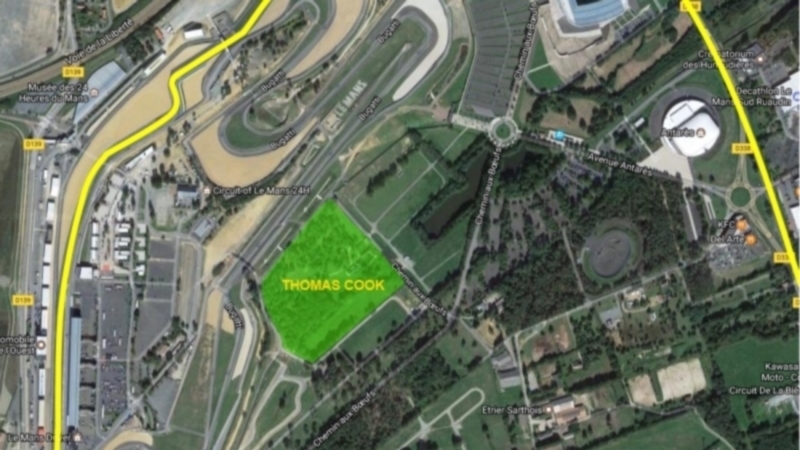 The Thomas cook site is located in between next to houx annexe and the entrance is right opposite the footbridge over the bugati circuit. The campsite is located within the circuit so you do need general admission tickets as well as your campsite ticket to gain entry. Campsite faculties are excellent there is enough toilets and showers and they are regularly cleaned with lots of hot water. There is also electric on this site not your usual campsite plug but you just need to plug in a standard british 3 pin plug with a extension lead. Pitches are numbered and you allocated your pitch on arrival from the reps on site who are excellent. Security on site is amazing there is one way to get in and out and is constantly manned and you cannot get in unless you stay there. 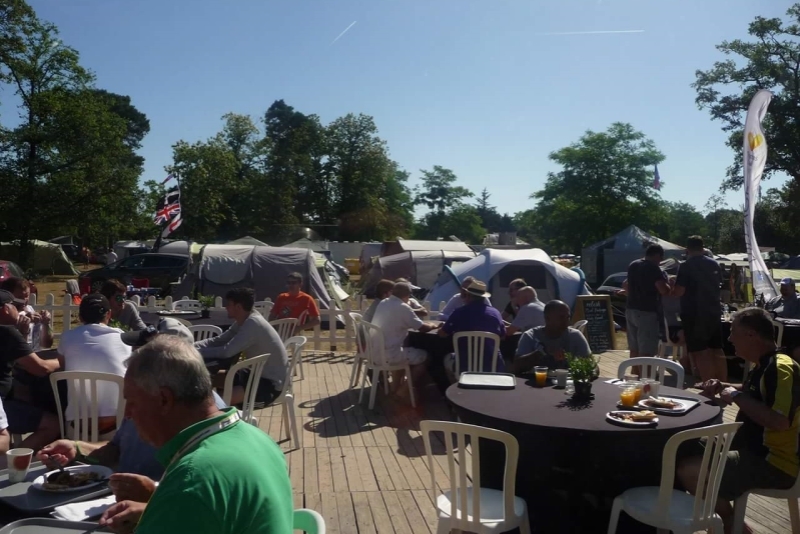 There is also a bar and restaurant in a big marque on site you can pre book all your meals at the booking stage, really good good and they offer breakfast; lunch; Dinner; and supper. You can also pre-book a erected tent however they are not the best and the biggest. They were as well this year offering caravans for rent. Campsite is for tents motorhomes or caravans. Campsite opens 12.00 on Wednesday and Closes Monday morning. 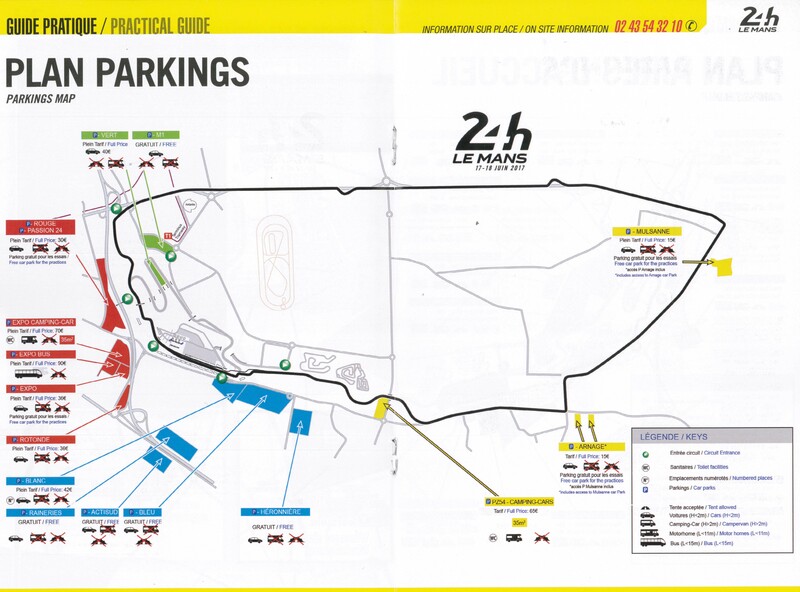 However be warned as it is in the circuit if you do not have a car it's a big walk on Monday morning as all gates are locked to get out. For first timers I would recommend the site or if you want a bit of luxury this us the site. 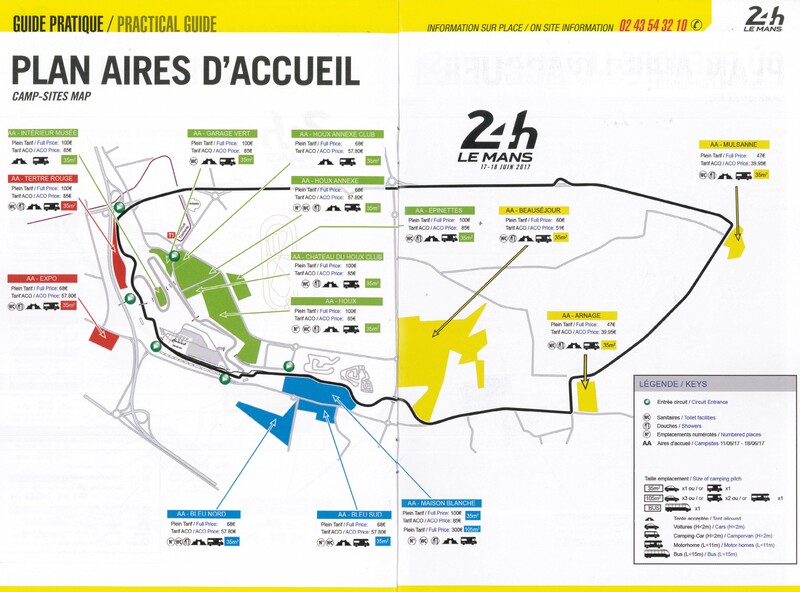 So, for my 25th visit to Le Mans we chose our tried and tested options. With time at a premium, but not wanting to miss practice & qualifying completely we again travel by the overnight ferry out of Portsmouth on Wednesday night. Following the traditional couple of pints and a curry boarding begins for departure at 10:30. As always the ferry is very busy, and if you not among the first couple of decks on, you’ll struggle to get a good seat and need to queue at the bar to obtain refreshments. We find a cabin essential these days, too old to be sleeping in the bar, so we are fresh, showered and ready for the morning drive down to the circuit. If you’re in a rush the toll roads are great and only amount to around €20 each way, or if you prefer to amble down there are direct routes that go thought the small towns en-route which allow you to avoid the extra cost. We normally stop for a coffee at one of the two service stations on the way and still arrive at the camp site by 09:45. 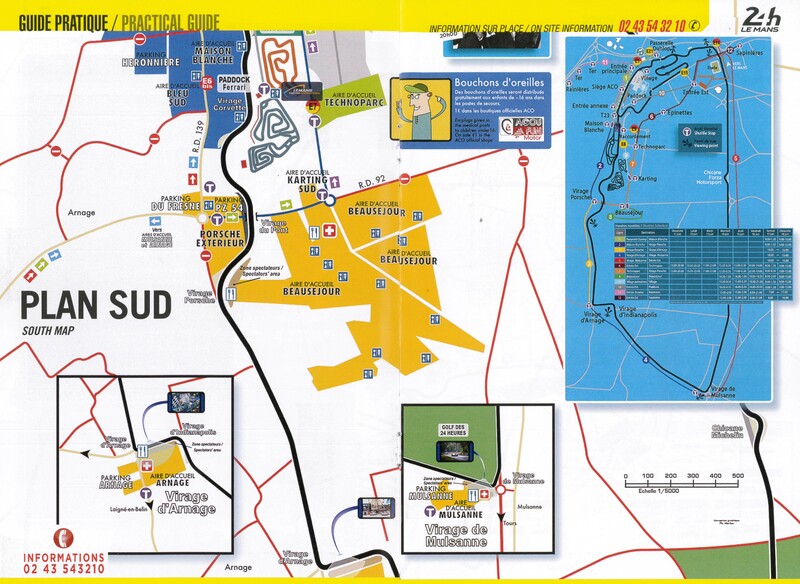 After several years coming in by different routes we now continue on the main road to the Arnarge junction, avoiding all the town traffic and coming out by the hypermarket there, with easy access to campsite by the roundabout near the Travel Destinations site. For the camp site we booked again with Thomas Cook Sport, formally Airtrack, and let’s start by getting the bad bit out of the way, it isn’t cheap! For you money you do get a secure site (wrist bands checked on entry throughout the event), a decent size pitch, electricity (for an extra fee, obviously! ), a large marquee with bar, that also caters for you if you’d prefer not to cook yourself. The options for food with them are packages for the weekend, 3 or 4 days, again at additional costs or there is a bar menu with quite a good choice so you can also ‘pay as you go’ if the mood takes you. The food did look good, though we’re generally happy with BBQ and circuit food so don’t usually partake. The site has a band playing on Friday and Sunday nights to keep the entertainment going, and the race, as well as other major events, is shown on a large screen throughout the weekend. The bar doesn’t shut during the race, so if you’ve sneaked off for a couple of hours kip you can visit the bar on waking up for a coffee/beer and a catch up. 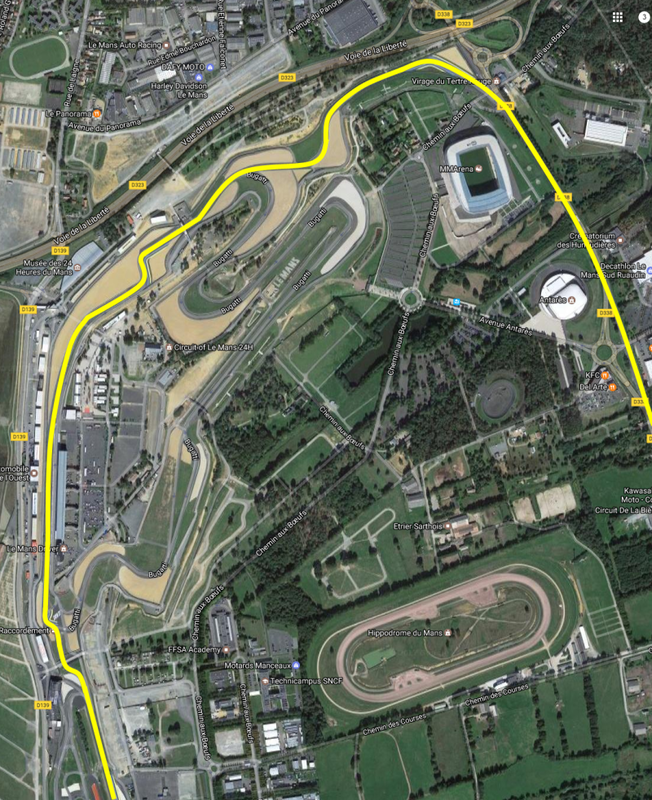 Location is excellent – a short hop across the bridge on the back straight of the Bugatti Circuit and across a car park gets you to the top of the village behind the pits. 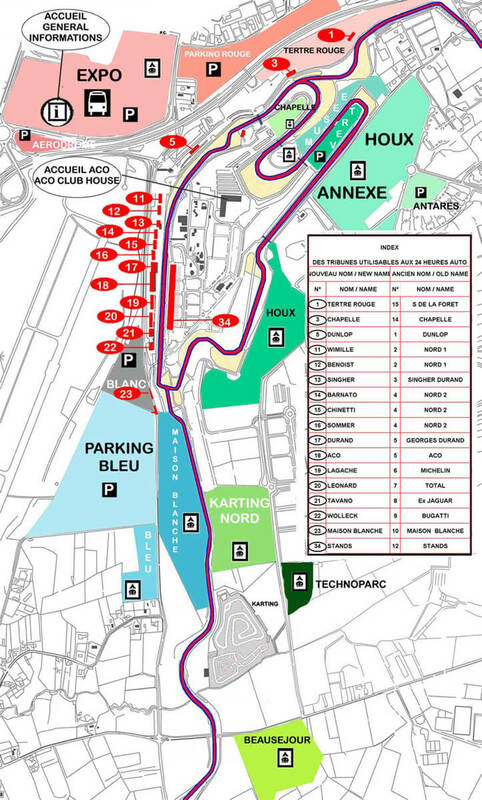 We have grandstand seats by the Ford Chicane and can get there in 10-minutes. All in all, if you can justify the expense, and I must say the staff are extremely helpful, the beers cold and not too pricy, and it’s a friendly environment, it’s worth the money. We’ve now travelled with them for 12 of the last 13 years, so may have a change next year (unless they read this and offer me a discount!) so must be good.